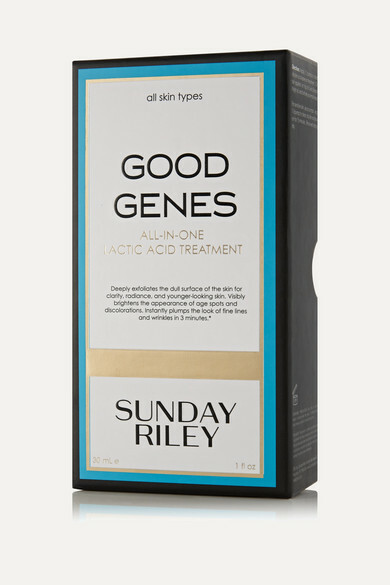 Sunday Riley's anti-aging treatment is designed to give you the flawless look of having "good genes." This clinically proven formula is made with a potent blend of Lactic Acid that sloughs away dead skin cells and visually plumps wrinkles and fine lines. Naturally brightening Licorice reduces the appearance of hyperpigmentation, while Lemongrass helps boosts radiance.